So, I explored the Faces icon set to see if I could display an icon if the value does not match one of the assigned matched values in the icon set. (Note that the sixth icon will not be for the value –1 specifically, but for any value that is not matched already). 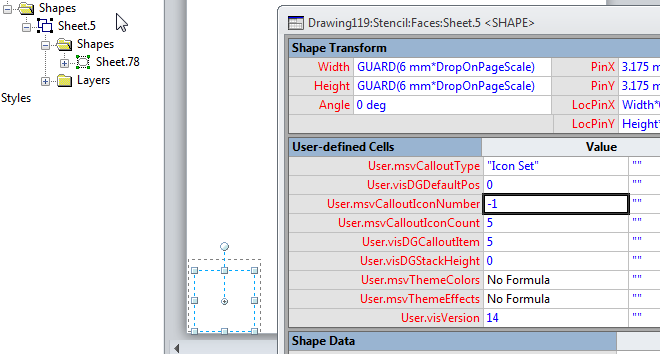 I opened the ShapeSheet of the sub-shape, Sheet.78, and noticed that there are many Geometry sections, each of which have their NoShow formula linked to the value 0 to 4 for the User.msvCalloutIconNumber cell, which references the User.msvCalloutIconNumber cell in the parent group shape. Therefore, all that is needed is to amend the formulas to display geometry if there is no matched value. Finally, I closed the master shape window to save the icon set. 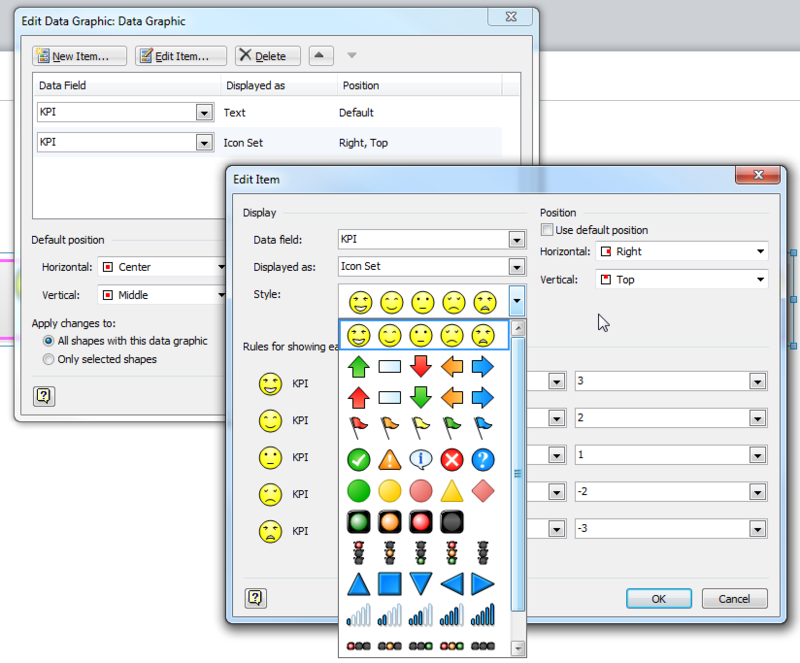 I have shown how you can modify one of the built-in icon sets in Visio 2007/2010, and you can apply the same principle to all of the other built-in icon sets, or you can build your own icon sets. 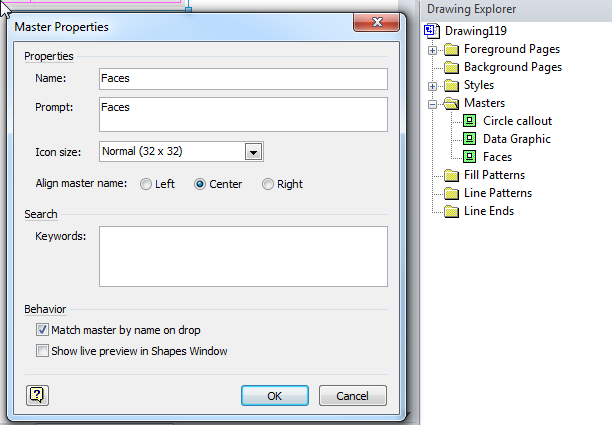 In the next blog, I will be showing you how to create new icon sets from existing shapes … automatically. Nice article. So does this mean you can add MORE than six icons or are there other limiting factors? Now then, don’t be greedy! I’m using 4 ovals grouped together in a pattern to illustrate ONE icon of six (6) in the set, which I group to make an icon set. Everything is working perfectly, except for the last icon in the set. I’m trying to follow this post, but I do not have a series of Geometry areas to modify. 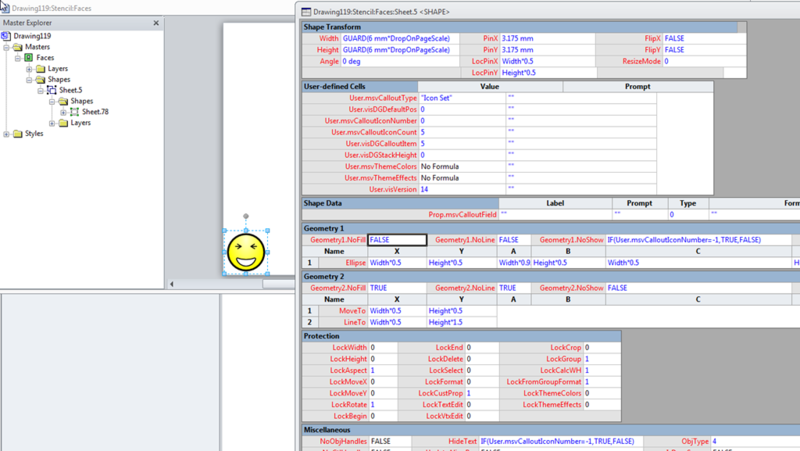 I have the msvCalloutIconCount set to 6, and simply changing the msvCalloutNumber will give me the results I want. However, as you know, this doesn’t translate into a functional data graphic. What am I missing? msvCalloutIconCount has a maximum value of 5. The sixth one that I add, is the default if a match is not found for the other 5. Can someone help me with the Visio 2013 Pro Link shapes to data function? I use a MS Access database data source (instead of Excel) and I want to open the database and update the specific data record by double-clicking on form in the Visio drawing. 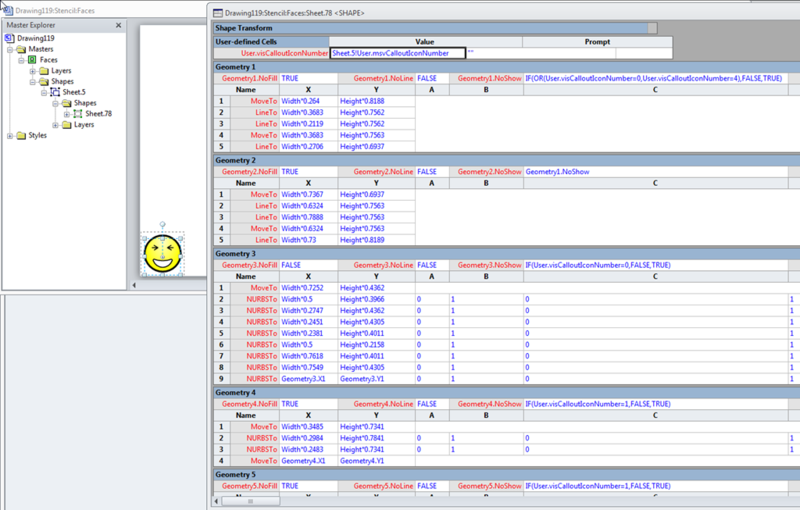 I want the specific Access database record to pop up in a window in Visio so I can update it. This would be much more efficient.